San Francisco's Jazz Hero last year. Some two dozen cities and towns around the U.S., and the world, are in process of nominating 2013 Jazz Heroes to be honored during JazzApril. 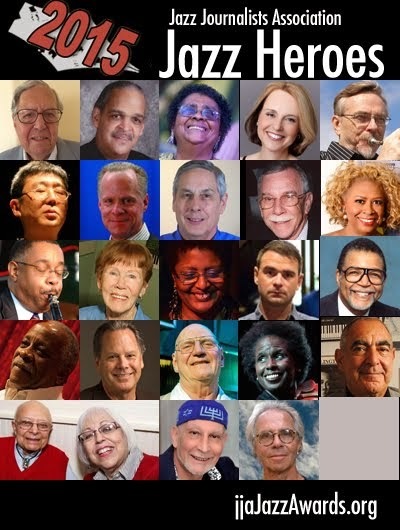 The Jazz Heroes are local "activists, advocates, altruists, aiders and abettors of jazz who have had significant impact in their local communities." The Jazz Heroes awards are part of the Jazz Journalists Association's annual JJA Jazz Awards program. 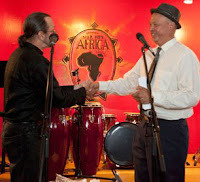 The 2013 Jazz Heroes will be announced on April 1, and this year's Jazz Heroes awards will be presented at locally organized parties held during JazzApril . UPDATE: Here's the list of 2013 Jazz Heroes. To date, party planning is well underway in Atlanta, Boston, Chicago, Detroit, Gainesville FL, Nashville, New Orleans, Ottawa, Philadelphia, Schenectady NY, Tallahassee FL and Washington D.C. Other locations will be added to the list and party dates and locations will be announced soon. The parties will be free and open to public and will provide a chance for local musicians, jazz fans and activists and JJA members to mingle and meet in an informal setting as they honor this year's "Jazz Hero." At many parties, free Brother Thelonious ale, provided by JJA Jazz Awards sponsor North Coast Brewing, will be served. To be sure of getting an invitation to any party near you, as well other JazzApril updates, sign up for the JazzApril email list. Previous Jazz Heroes and "A Team" awardees.